We are delighted to welcome twelve new participants to our Women in Theatre Program in 2018. This sought after career development program runs for twelve months and sees each participant paired with a mentor in their chosen field as well as a calendar of networking opportunities, leadership training, and workshops covering a range of topics to provide a rounded understanding of how a State theatre company operates. 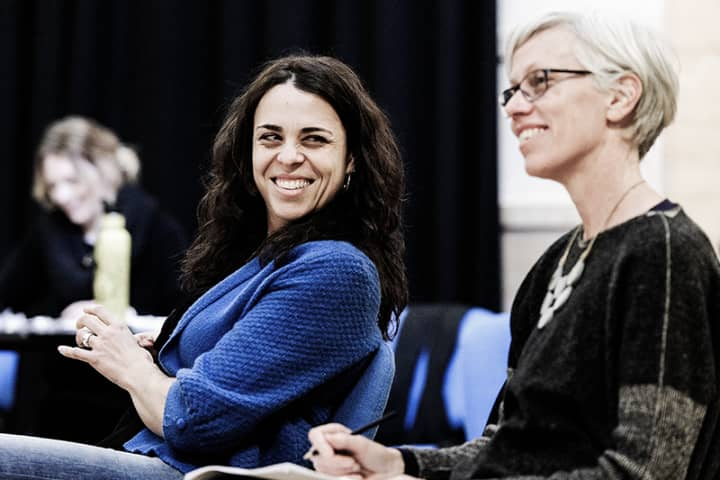 Now in its fifth year, the program has supported 45 theatre professionals in their career development to date and continues to provide invaluable opportunities for women working in the sector. In 2018 the program includes participants working in education and scenic art for the first time. Meet the 2018 participants below. Anna Kerrigan is a leading youth arts professional. 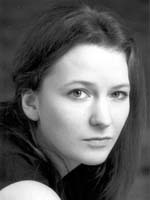 Following her training at Bretton Hall in the UK she gained a BA (Hons) in Theatre Acting in 2002 and worked as an actor with a variety of companies in the UK and Australia before focusing on a career within the youth arts sector. Anna has extensive experience working as a freelance facilitator for a large number of companies and schools over the past 15 years. She has held positions with Barking Gecko Theatre Co (Participation Co-ordinator), Tantrum Theatre Co (Workshop Co-ordinator) and Australian Theatre for Young People (Workshop Manager) before joining the ASPIRE program for the Newcastle/Maitland Catholic Schools Office as Artistic Director in 2012. As part of the ASPIRE program she creates an original theatrical production every year involving over 130 students across dance, drama and musical ensembles. As a director, Anna has worked on a large number of scripted and devised productions with and for young people, through Wigan Pier Theatre Company, Barking Gecko Youth Theatre Program, Tantrum Youth Arts, Mad Cow Theatre Company, Australian Theatre for Young People, Stone Gang Show (Musical Direction) and as an assistant director for Sydney Theatre Company – Next Stage. Born in Perth, Anne took more than 21 years to find her way home to Melbourne. Here, after dipping her toe into a variety of ambiguous university courses and front of house roles, she began a Diploma of Live Production with a mind to muscle her way into the festival circuit, discovering instead a passion for scenic art and set design. While studying Anne began working at Scenic Studios and, after almost six years, they’ve not been able to shake her. As part of the incredible team at Scenic she has painted scenery for a number of productions for the Australian Ballet, including Alice in Wonderland, Sleeping Beauty and La Bayadere; productions for the Queensland and West Australian Ballet; for Opera Australia; as well as musicals such as Matilda, Book of Mormon, The King and I, and My Fair Lady. 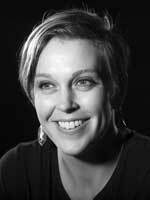 Clare is a Melbourne based lighting designer, working across theatre, dance and special events. Since graduating from BAPA in 2002, she has worked as an Lighting Designer, Stage Manager, Production Manager, Touring Technician, Set Builder, Venue Technician, Sound Operator and Actor. In 2010 she completed her Diploma of Live Production, Theatre & Events at Box Hill Tafe. And in 2013 she became the Resident Lighting Designer at Red Stitch Actors Theatre, after working as a guest designer with the company since 2011. Her lighting design work includes over 14 productions for Red Stitch, as well multiple designs for La Mama, Hit Productions including tours of Shirley Valentine and Always Patsy Cline, Lifelike Touring and Cameron Lukey/Left Bauer Productions. Clare was nominated for a Green Room Award for her Lighting Design for Eurydice (Red Stich 2015). In 2016 she was selected to be a part of The Besen Family Artist Program at the Malthouse Theatre under the guidance of Paul Jackson and was recently the successful recipient of the Lyngala Foundation – Ensemble Development Award 2017. 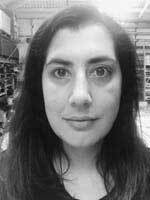 In addition to being a Lighting Designer, Clare is the Supervising Technician at Darebin Arts Centre and is currently the Deputy Chairperson of the Tech Managers Network for VAPAC. Originally trained as an architect, Kat worked in architectural practices in Adelaide and Tokyo before moving to Melbourne to study at the VCA. She graduated with a Masters in Production Design and Postgraduate Diploma in Production Design receiving the inaugural Trina Parker Scholarship and the George Tallis Award. Kat is a cross-discipline designer – working across theatre, ballet, video art, styling and events – who values the collaborative relationships she has developed along the way. In 2015, Kat designed the set and costume for the Helpmann Award nominated Mother (with Noni Hazlehurst) which toured metropolitan/regional theatres for two years. Following this, Kat was invited to create the designs for the world premiere of Scent of Love for the Australian Ballet at the Sydney Opera House, which then premiered at the State Theatre, Melbourne in 2017. 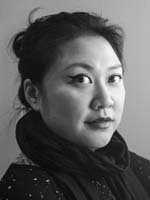 Recent credits include: Mother (Set & Costume, IF Theatre, Belvoir St); The Australian Ugliness (Costume, video artist: Eugenia Lim, Open House Melbourne); From Silence (Set & Costume, The Australian Ballet); The People’s Currency (Set & Costume, AsiaTopa Fed Sq, 4A Centre for Contemporary Asian Art,); The Sleeping Beauty (Design Associate to Gabriela Tylesova, The Australian Ballet). Katy is a Melbourne-based playwright and graduate of the Victorian College of the Arts (Master of Writing for Performance). Her plays have been presented across Australia, New Zealand, and in Edinburgh as part of Festival Fringe. She is an AWGIE winner (Best Children’s Theatre for Reasons to Stay Inside), recipient of the Melbourne Fringe Award for Best Emerging Writer (These are the isolate) and Green Room award nominee for New Writing (A Prudent Man). Her play, nest, recently made the long list of Theatre503’s Playwriting Award and will have its debut at London’s Vault Festival with Small Truth Theatre in early 2018. Plays include Paper Doll, Spencer, A Prudent Man, Reasons to Stay Inside, Dropped and These are the isolate. Katy is a part of the INK program with Red Stitch Actors’ Theatre and is working on a new full-length play for the company. Katy is currently writing her debut novel, Regime, which will be published by Black Inc. Books in February 2019. She is a proud member of the Australian Writers’ Guild. 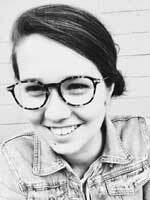 Lauren Makin is a Sydney based Production Manager with a passion for coordinating artistic ideas into cohesive productions for the stage. Lauren has a particular drive to be a part of developing new Australian work. Discovering her passion for technical production at a young age, Lauren began her theatre journey in high school with a certificate three in Live Entertainment. She went on to graduate with a Bachelor of Fine Arts, Technical Production from Queensland University of Technology in 2012 and shortly after commenced a full time position in the role of Production Assistant at the Sydney Opera House. This appointment provided Lauren with invaluable opportunities to further her learning and she has since built a large network in Sydney. Lauren had the opportunity to work on a number of major events including, Vivid Live, TedX, New Year’s Eve and the Opera House’s 40th Birthday Celebrations, just to name a few. These experiences led Lauren into positions with a number of prominent Sydney theatre and events companies including; Bell Shakespeare, The City of Sydney Major Events Team, Sydney Opera House and CDP Theatre Producers and more. 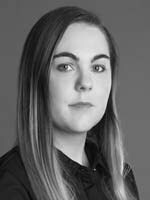 In 2016 Lauren was appointed to the role of Production Manager with Australian Theatre for Young People, where she managed the production department and played a key role in the development of many new works. Scarlet is an award winning director and dramaturge who has worked professionally both in Australia and the UK. 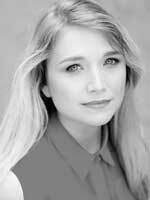 Her recent credits include: Hooting & Howling by Phil Spencer (Critical Stages), You and Whose Army & Boxing Day (Tin Shed Theatre Company). Future Senior/Former Youth, a verbatim theatre piece by Scarlet McGlynn (Rock Surfers Theatre Company), Show Me Yours, I’ll Show You Mine by Tim Spencer (La Boite Indie & Melbourne Fringe, Green Room Award Winner). Scarlet has also worked extensively at Sydney Theatre Company, where she was Assistant Director and National Tour Director for Disgraced, Assistant Director for Storm Boy and Assistant Director for Switzerland by Joanna Murray Smith, and Director for Hooting & Howling, Rough Draft program. Scarlet is currently Artist in Residence at Critical Stages. Sidney has designed audio for theatre, dance, film and installations. Her unique style has emerged from her extensive experience as a performer and composer of classical and jazz music. She particularly enjoys using sound and music to create emotional states and subtle tensions in a work. Originally from Adelaide, Sidney won numerous composition awards throughout her school years. Her love of music sparked an interest in audio design, which led to her studying a Bachelor of Fine Arts (Production) degree at the Victorian College of the Arts. Whilst at the VCA, Sidney designed Three Blind Mice which was nominated for the 2016 Melbourne Fringe Best Performance Award and subsequently toured to the 2017 Adelaide Fringe. Beyond the VCA, she designed audio for BREAD CRUMBS as part of the 2017 Poppy Seed Festival. She also assisted Russell Goldsmith as Associate Sound Designer for Gary Abraham’s production of Angels In America. Siobhan works in the arts as a producer, performer and event organiser. 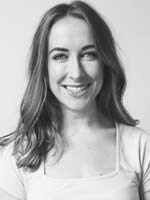 Since moving to Melbourne in 2011 Siobhan has co-founded two theatre companies; Key Conspirators and North of Eight, and been cast in multiple theatre, film and television productions. Siobhan has invested time creating and managing live music events, performance based charity fundraisers and is the Festival Producer of Poppy Seed Theatre Festival. In addition to her work for Poppy Seed Theatre Festival, and the inaugural seasons for both North of Eight and Key Conspirators, Siobhan’s producing highlights in the past year include Terminus by Mark O’Rowe and the upcoming season of Her Father’s Daughter (Hotel Now). Her 2017 acting highlights include Romper Stomper (television series), feature films; Bugs and The Neon Spectrum and theatre credits; Navy Pier by John Corwin, The Proposal by Anton Chekhov and Loose Teeth by Cassandra Elli. Siobhan is on the Board of Trustees at Howard Fine Acting Studio Australia and is proud to be working with Gasworks Arts Park in a partnership with Key Conspirators to present Script Nights- a monthly initiative that supports local writers in the presentational aspect of developing new work. With more than a decade of experience in arts and cultural management, Susannah is a creative producer who has worked across Australia, the UK and Indonesia. She currently holds the position of Head of Programs and Operations at Brunswick Mechanics Institute, managed by Next Wave, leading the strategy and day-to-day management of the emerging experimental arts space. She coordinated biennial contemporary dance festival Dance Massive in 2017 and, prior to that, was the Program Producer at contemporary multi-arts space The Substation. From 2012 – 2016, Susannah held the position of Producer at The Blue Room Theatre in Perth, program managing and supporting the creation of over 45 independent theatre productions annually. She completed a Bachelor of Arts (Contemporary Performance) from WAAPA in 2005 and, early in her career, worked across a range of organisations including Fringe World Festival, the Edinburgh Fringe Festival and Frantic Assembly (London). From 2014 – 2016 she was an Australia Council for the Arts peer assessor and has sat on panels for the WA Department of Culture and the Arts and Creative Partnerships Australia. Tahli Corin has worked in the artistic and programming teams at Belvoir and Griffin Theatre Company. She has a keen passion for the development of new Australian work, and its presentation on the mainstage. 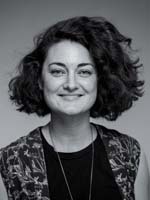 Tahli was the B Sharp Coordinator at Belvoir (2008 – 2010), and a Resident Playwright at Playwriting Australia (2011). In 2012 she was Resident Dramaturg for Griffin Theatre Company where she worked on The Boys, presented as part of the Sydney Festival, A Hoax by Rick Viede and Between Two Waves by Ian Meadows. In 2014, Tahli directed Annie’s Room for the Adelaide Cabaret Festival, returning in 2015 to co-write and direct the sell-out show 27 Club. As a playwright her works include Girl in Tan Boots (Griffin Independent), Bumming with Jane (Belvoir, B Sharp), The Arcade (Sydney Theatre Company), One for the Ugly Girls (Adelaide Fringe / Old 505 Theatre) and Before the Moon (Tamarama Rock Surfers). Tahli produced the inaugural Blak & Bright, Victorian Indigenous Literary Festival at the Wheeler Centre, and Directors Lab for TheatreWorks in 2016. She has previously worked with Melbourne Theatre Company as the Assistant Director on Brendan Cowell’s The Sublime. 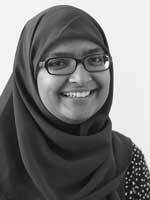 Tasnim Hossain is a playwright, dramaturg and facilitator. She was the 2017 Resident Playwright at the Australian Theatre for Young People, where she wrote a full-length play and shorter pieces, in collaboration with young performers. 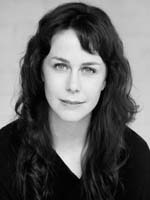 She was also the National Studio Coordinator at ATYP, working with emerging playwrights to create work for young actors. Her short work has been staged by ATYP and Apocalypse Theatre Company in Sydney, 24:7 Theatre Festival in Manchester, UK, and published by Currency Press. Her first solo show was developed Playwriting Australia’s Lotus Salon for Asian-Australian writers and ran at Fringe World in Perth and You Are Here festival in Canberra in 2015. Her second solo show ran in Newcastle in 2017, with upcoming seasons in Perth and Sydney in 2018. Tasnim participated in The Street Theatre’s The Hive script development program in Canberra and was also an Associate Artist at Canberra Youth Theatre, where she dramaturged new works for readings. She has performed her poetry around Australia and taught poetry writing and performance skills through schools and community groups. She has a Bachelor of Arts (International Relations) from the Australian National University. 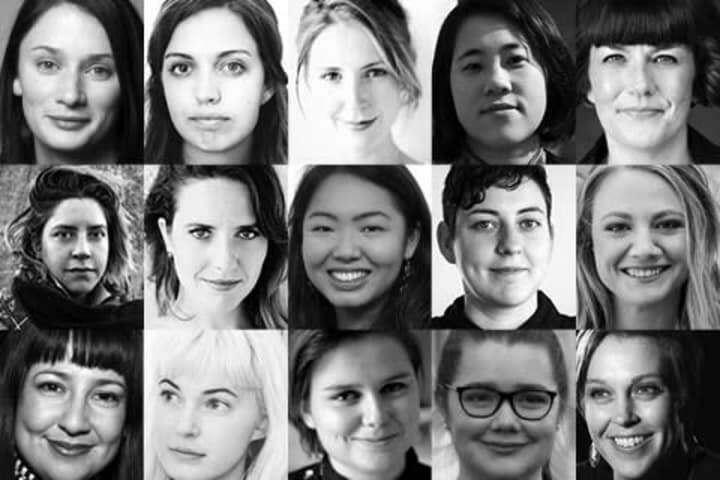 We are delighted to welcome 15 new participants to our Women in Theatre Program in 2019.